Frostbite, LLC and Facet Skis (together or individually referred to as “Facet”) warranty each pair of skis to be free from material defect and workmanship for two (2) year. The warranty is reserved for the original purchaser only and may not be transferred. The Warranty applies only to Facet Skis bought from www.facetskis.com or a retailer authorized to sell Facet Skis. The Facet Warranty technician, in their sole discretion, will make the final determination as to whether the claim is a manufacturing or workmanship defect.  If defects due to manufacturing or workmanship are found, Facet will repair or replace the defective skis. If a product needs to be replaced we will make our best effort to replace it with an identical or similarly equivalent product. Damage due to the improper mounting and/or adjustment of bindings. Impact damage: damage resulting from impact with rocks, trees, pavement, concrete, other foreign obstacles such as terrain park features, etc. The Warranty is void if alterations, modifications or changes are made to the skis without our expressed written consent. PLEASE REMEMBER TO REGISTER YOUR SKIS - THE WARRANT IS ONLY VAILD FOR REGISTERED SKIS. *The purchaser is responsible for all initial shipping costs associated with products for warranty. The purchaser is responsible for all shipping cost of non warrantable products, including shipping costs incurred for returning the product to the purchaser. Should the product fall under the Warranty, Facet will be happy to reimburse your shipping costs. You may also email us at support@facetskis.com. We will need the following information about you and the nature of the claim. Step 2: Remove bindings and any other after market add ons. (Stickers can stay, we like to see what inspires people). Purchaser is responsible for the removal and remounting of any binding systems or after market add on products. Step 3: Securely pack product and send to the address below. We take pride in the skis we make. Please ride them responsibly. If you have questions, comments or warranty claims please contact us.